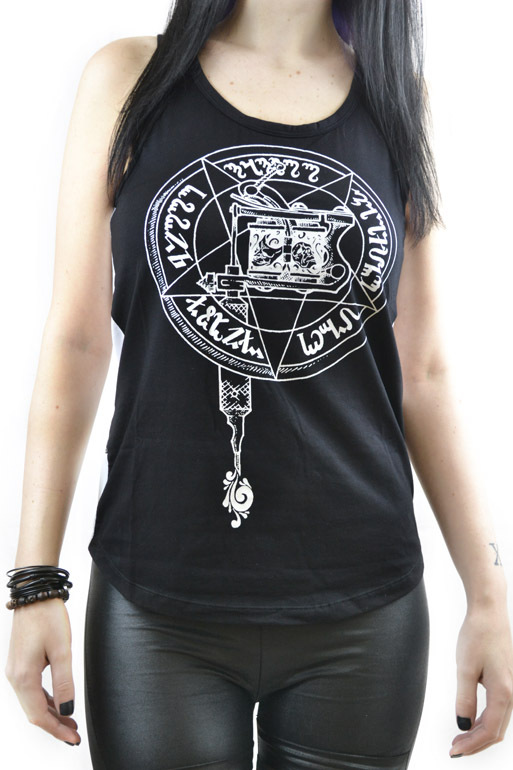 Too Fast Redemption Tank - Dark Arts - COFFIN SHOP - Clothing and accesories from the grave! Slightly fitted jersey muscle tank, contrast white back with mesh cross cut-out. 95% cotton, 5% spandex, trims: 100% polyamide.